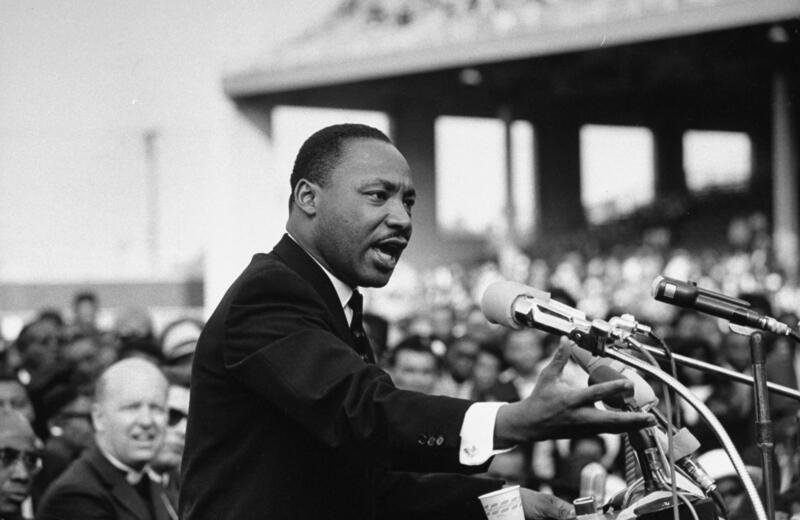 Martin Luther King Jr. Day is Monday, January 21. Global Village, Strange Currency, Night Train and Soulsations are celebrating the life of the civil rights icon with music features leading up to and on Martin Luther King Jr. Day. Hear inspirational music from pastor Marvin Winans, member of the musical Winans Family. Winans founded Perfecting Church in Detroit, MI, in 1989 along with a school, the Marvin L. Winans Academy of Performing Arts, in 1997. The multiple Grammy award-winning artist has recorded several albums with his brothers since the early 80s. In 2012 he preached the eulogy at mega-star Whitney Houston’s funeral in New Jersey. Bishop Marvin Winans will be the keynote speaker at the Greater Wichita Ministerial League’s Martin Luther King, Jr. event on Monday, January 21, 2019 at the WSU Metroplex at noon. Global Village celebrates Dr. Martin Luther King Jr. Day with songs dedicated to King, music inspired by the Civil Rights Movement, and pieces that reflect human rights themes as performed by artists from around the globe, including Mavis Staples, the Soweto Gospel Choir, Toots & the Maytals, Stevie Wonder, and more. Strange Currency marks Dr. Martin Luther King, Jr.’s birthday with selections from Jackson Browne, Marvin Gaye and more. Night Train steps aside for two specials – from Night Lights and Blues & Beyond – featuring music in celebration of Martin Luther King Jr. Day.